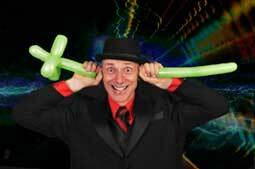 from big illusions with smoke and dancing girls to comedy magic and mentalism type shows. I would like to talk about the stage shows that I offer and why and when you could consider using them to entertain. Firstly, although initially you may think of big illusions, dancing girls and smoke when you think of stage magic….the truth is that they are very limited in their application. For a start you need a good size room with a proper stage, not just an elevated platform but side and rear curtains, complex lighting and sound system and the people to run those systems…plus those shows are very expensive!! Not just to hire the performer but also the staging, so those types of shows are not typically used for general corporate events and private parties. Now, comedy magic is very different. No complex lighting, no elaborate sound systems and a lot easier to stage. Typically you will need to supply an elevated platform and a microphone and this can be arranged very simply at most venues, from large conventions halls to smaller restaurants, even in some houses. Comedy Stage Magic is very interactive using lots of audience participation, it is a bit like stand up comedy except ‘cleaner’ and more fun. Sure there are no shiny boxes and guys in dreadful glittery suits. Comedy Stage Magic looks like a normal guy up on stage who can do amazing and very funny interactive magic using almost nothing…people can relate to this so much more, there is a personal connection between the performer and audience…and how that connection is established will depend on the individual performer, what I can say is that it will have a memorable impact on your guests as they will be involved in the whole comedy magic process. Comedy Stage magic is interactive entertainment….. Illusions are passive entertainment. This entry was posted in Posts and tagged http://www.magicevents.com.au/2011/07/whats-comedy-stage-magic/, show.com, stage, www.magic. Bookmark the permalink.